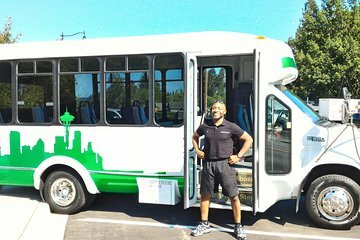 Erleben Sie das Beste von Seattle in nur zwei Stunden auf dieser Stadtrundfahrt mit dem Bus. Ihre Reiseroute für den Tag beinhaltet viele Sehenswürdigkeiten, darunter Safeco Fields, die Central Waterfront, die Space Needle und den lokal geformten Fremont Troll. Die Teilnehmerzahl dieser Tour ist auf maximal 15 Personen begrenzt, so dass eine individuelle Betreuung durch Ihren fachkundigen Reiseleiter in einer kleinen Gruppe sichergestellt ist. Abholung mit dem Bus von Ihrem Hotel in Seattle für Ihre 2-stündige Stadtrundfahrt. Die Teilnehmerzahl ist auf 15 Personen begrenzt, so dass Sie einen intimen Tag mit einer kleinen Gruppe gleichgesinnter Entdecker verbringen können. Außerdem lebt Ihr Reiseleiter seit über 30 Jahren im pazifischen Nordwesten, so dass er wirklich die besten Plätze kennt, die er Ihnen zeigen kann, sowie die schnellsten Wege, um in der Stadt zu manövrieren. Sie durchfahren Chinatown (auch bekannt als International District), den Pioneer Square und den Waterfall Garden Park. Sportbegeisterte werden sich freuen, dass Safeco Fields und CenturyLink Field auf dieser Tour dabei sind. In Safeco Fields spielen die Seattle Seahawks von MLB ihre Heimspiele, und CenturyLink Field ist der Stampfplatz für die Seattle Seahawks der NFL. Weiter geht es mit dem Pike Place Market, der Central Waterfront, dem Chihuly Glass Garden, Queen Ann Hill's Kerry Park Viewpoint und Lake Union. 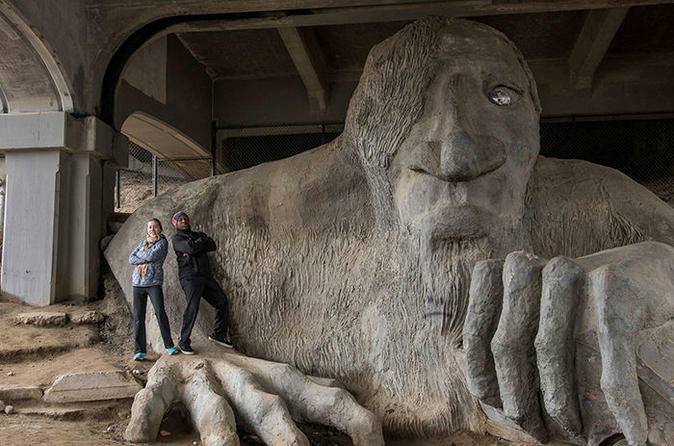 Machen Sie einen Boxenstopp an der Space Needle, um Fotos zu machen, und betrachten Sie die Fremont Troll-Skulptur aus nächster Nähe. Nach all dem Spaß, genießen Sie eine entspannende Fahrt zurück zu Ihrem Hotel. Small bus (15 passengers) allowed easier viewing, access to tourist spots, and on and off. Earl gregarious, humorous, but easily distracted to politics, etc. Wished for more trivia, facts, history. Liked that Earl focused on outside of city places; we could do Space Needle, Pike's Market, etc. on our own time.Would definitely recommend to small group (#12 in our party), as well as couples. Got money's worth and enjoyed time spent. Hands down best tour. Earl was fun and entertaining! He learned a lot about the city in this short period of time. The tour guide provided interesting facts of the city. Very knowledgeable and funny. The ride at times was fast and did not stop at certain sightseeing areas to take pictures. The A/C stop working half way thru our tour which may it uncomfortable. All in all good time. Earl made this tour! He is very knowledagle and puts a great humorous twist on the city. I highly recommend this tour. Great way to see many of the unique neighborhoods and popular tourist spots. My recommendation is to be ready at your designated pick up time. It’s respectful to those on the tour. I felt like we were waiting on a few folks when we could have been spending the time driving. I will definitely book this tour again if I’m ever visiting in Seattle again. Are plane came in late. very stressful..... because we needed to meet our tour at 10:00 am Our Gide informed us to not to worry and be careful coming in to the city and they will pick us up as soon as we get to are meeting place. What a relief. the tour it self was amazing. everyone should take it before going around the city. you know where you are after the tour. we will take it again next time we visit Seattle. Thank you for waiting for us,what a fun time. My daughter and I had a laid back and enjoyable time motoring through some of Seattle's most interesting sites. Our guide, Earl, was an informative and entertaining guide! Earl was an excellent guide very knowledgeable about the city and surrounding areas. He was also willing to take you by any special requests. He went above and beyond and truly seemed to love his job. All in all a great tour!! It was very informative and fun tour! We loved our guide Earl Alexander and highly recommend his tour. Earl picked us right on time. He was polite, respectful and very knowledgeable. Great sense of humor. The sights were great, we had a beautiful day with sun and blue skies. I've already recommended you all and Earl.